Less than 20 years ago, the idea of growing new organs from your own tissues for transplant was science fiction. Today it's perhaps a decade away from reality as an experiment earlier this year that transplanted bio-engineered lungs into adult pigs demonstrated that we may be close to being ready for trials in humans. In their experiment they used a donor organ for the structure. They took a lung from an unrelated pig, and stripped it of its cells, leaving a scaffold of collagen, a tough, flexible protein. This provided a pre-made appropriate structure, though in future they think it may be possible to use 3-D printing technology to get the same result. They then added cultured cells from the animal who would be receiving the transplant - so the lung was made of the animal's own cells. 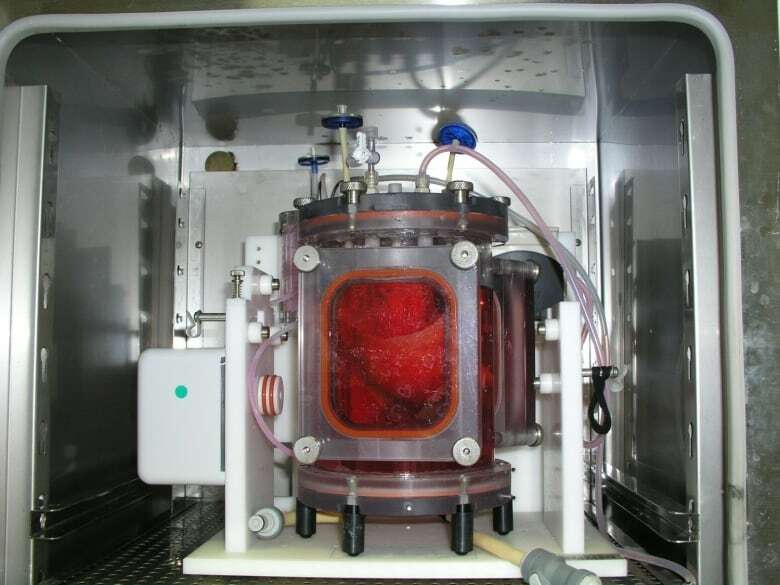 Cultured lung and blood vessel cells were placed on the scaffold and it was placed in a tank for 30 days with a cocktail of nutrients to help the cells stick to the scaffold and proliferate. The result was a kind of baby lung. 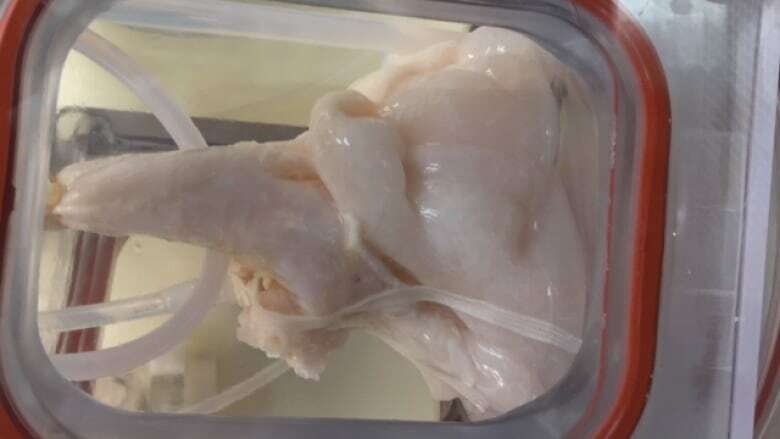 They then transplanted the bio-engineered, though immature, lung into the recipient animal where they hoped it would continue to develop and mature - growing to become a healthy, functioning organ. 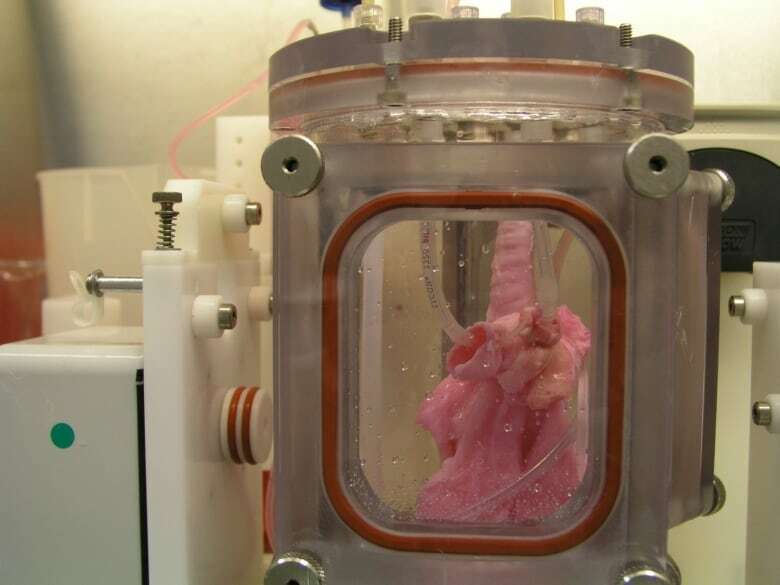 The recipients of the bio-engineered lungs were four pigs adult pigs, which appeared to tolerate the transplants well. In order to study the development of the bio-engineered lungs, they euthanized the animals at different times: 10 hours, two weeks, one month and two months after transplantation. They found that as early as two weeks, the bio-engineered lung had integrated into the recipient animals' body, building a strong network of blood vessels essential for the lung to survive. There was no evidence of pulmonary edema, the build of fluid in the lungs, which is usually a sign of the blood vessels not working efficiently. There was no sign of rejection of the transplanted organs, and the pigs were healthy up to the point where they were euthanized. One lingering concern is how well the bio-engineered lungs delivered oxygen. The four pigs who received the trasplant had one original functioning lung, so they didn't depend on their new bio-engineered lung for breathing. The scientists were not sure that the bio-engineered lung was mature enough to handle the full load of oxygen on its own. In future studies they intend to look at long-term survival and the maturation of tissues, as well as the critical gas exchange capacity of bio-engineered lungs. Nichols suggests that given the progress they're currently making in this work, lungs grown in a lab could be transplanted into people in 5 to 10 years. Whose DNA is present in a donor heart?